These fifth graders are learning sign language and the reason why speaks volumes about their character. 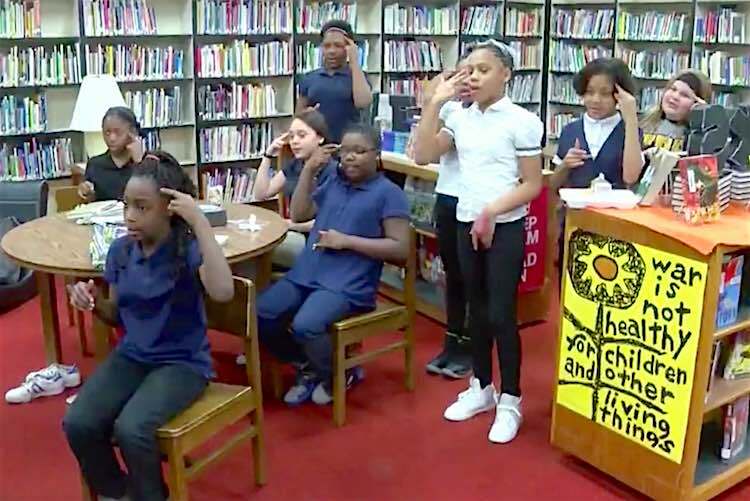 Students at a Peoria, Illinois school give up recess every Wednesday so they can learn sign language just to better communicate with a deaf classmate — Rhemy Elsey. The kids formed an American Sign Language club and practice their skills with Rhemy and an instructor. Rhemy has cochlear implants, but still relies on signing for much of his ability to communicate with others. He’s been overwhelmed by the willingness of classmates to give up free time just so they can learn to carry on conversations with him. “It’s like they want to be like me,” Rhemy told WMBD News.